Unfortunately, Emma is four going on five. Emma is quickly learning in PreK-4 that pacifiers are for babies. Determined to become the big girl her fifth birthday says she is, Emma embarks on a quest to give her pacifiers to the Pacifier Fairy. It's not easy giving up your pacifiers. 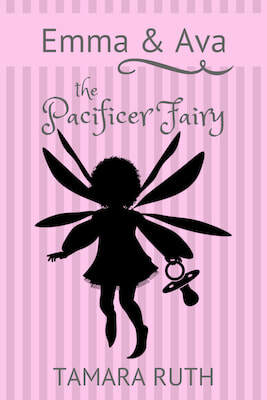 ​Pick up this cute story today to read to your pacifier lover (or thumb sucker).